Have you ever thought about traveling to Croatia? 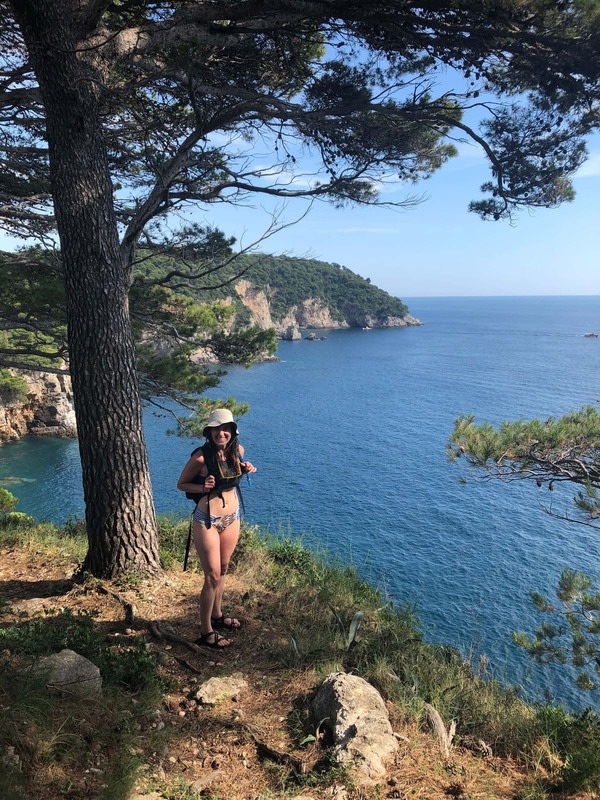 I spent time in Croatia and did everything from hiking and kayaking to site seeing and eating delicious food. 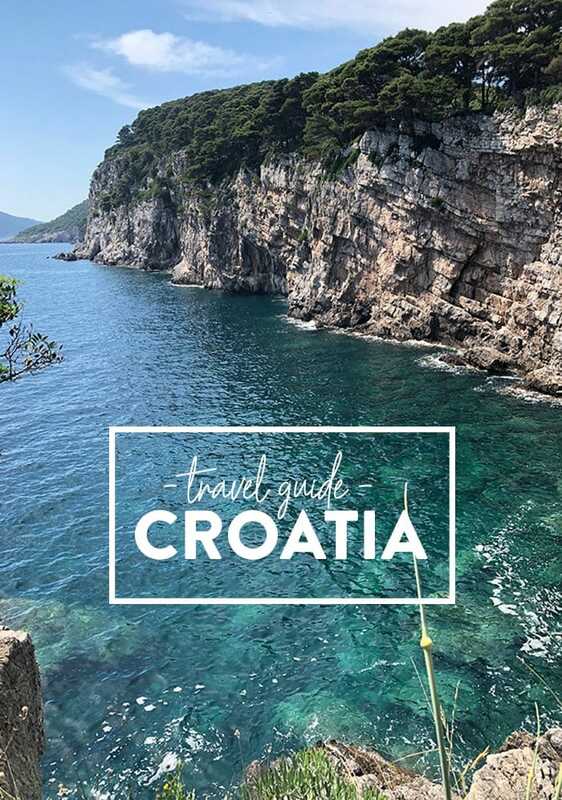 Here is a guide to traveling in Croatia. You will want to buy your tickets to Croatia, immediately! Hello, friends! It’s Linley here. If you follow @linleyshands, you know that I recently took a trip to Croatia. It was amazing. I was so excited to take some time this past week to sit and write about my experience so I could share it with all of you. First things first, how did I decide to go to Croatia? Croatia had never been on my radar. Honestly, I had only heard about Croatia and that region when people talked about the Bosnian War. Thankfully, I am dating a man that is and is apart of a very adventurous family and Croatia had always been on their list. Cole’s Mom turned sixty this year (happy birthday, Mary!) 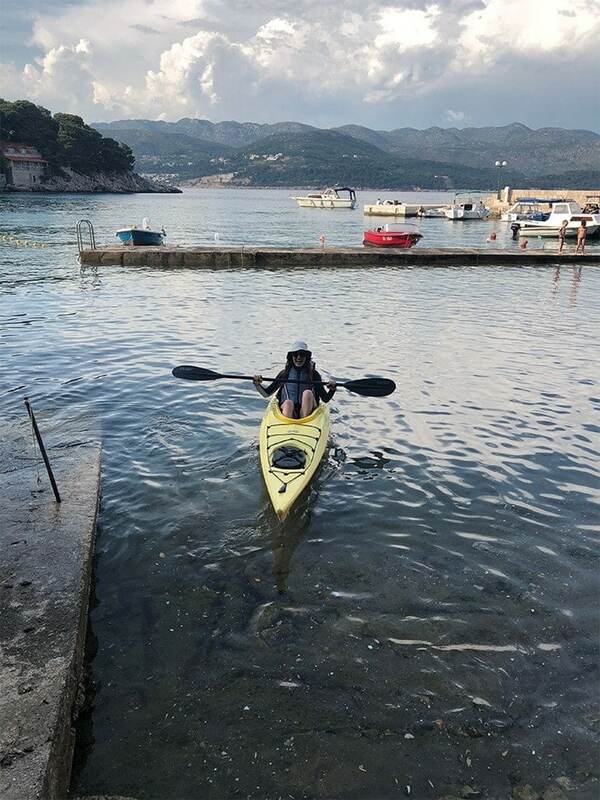 and she decided she wanted to spend her 60th birthday kayaking in Croatia. Because, why not? We were gone for 13 days in total, spending most of our time in Croatia, but also spent time in Montenegro and Switzerland. Plus many other yearly perks! It just seemed like the best deal with the best perks for the type of travel that we plan on doing this year. We are so happy with the card. Not only were all of the airport lounges a little piece of heaven, but we were able to buy 3 more flights for the summer the points we earned with the card. It was wonderful. When looking for affordable tickets for Croatia, we really had to dig. We only bought our tickets 2 months before our trip, so pretty short notice. Round trip tickets to Croatia from Minneapolis were upwards of $1,000, so we decided to fly round trip to Zurich since we were ending our trip with friends that live in Bern Switzerland. We found tickets for $500 round-trip on American Airlines. Then, from Switzerland, we flew Croatia Airlines for $80. For a last minute ticket purchase, we found pretty good deals. We spent 13 days in total abroad at the end of May and beginning of June. This tends to be at the beginning of tourist season in Europe. There were ten of us in total for the trip and to make things a bit more organized for such a large group, Mary booked the majority of our trip with Adriatic Kayaking Tours. You can choose from trips they offer on their site or they will tailor make a trip just for you. We went on their Best of the Balkans week-long trip. You guys, it was the most amazing experience. We had two trip guides, Ivon and Ivor. Not only were our guides knowledgeable and accommodating, they were amazing humans that we now call friends. To be honest, I had never done a trip with a tour company because the rumor was that you could travel cheaper on your own. I was proved wrong. 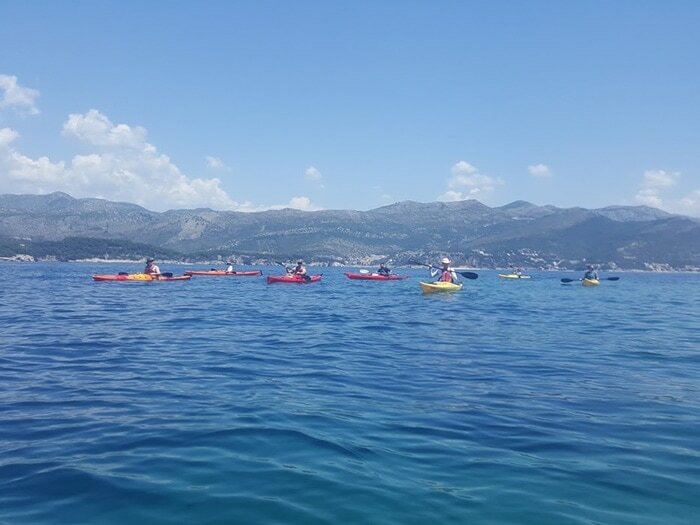 Adriatic Kayaking Tours treated us so well and I would recommend booking travel through them again and again. Honestly, a day and night is all anyone would need in Dubrovnik. It was a gorgeous city that felt like a movie set after every turn, but it was also touristy and has a cruise ship port, which means it was PACKED during the day. We were happy to take a 1.5-hour ferry ride to Lopud Island, whisch is where we called home for 5 days. We stayed at an adorable hostel with modest accommodations that was owned by an 85-year-old Croatian man that made is own wine. It was a dream. Eating the most delicious grilled fish every. single. day. Croatian beaches. They are rocky, hidden, and stunning. Every single part of our trip was new and amazing. 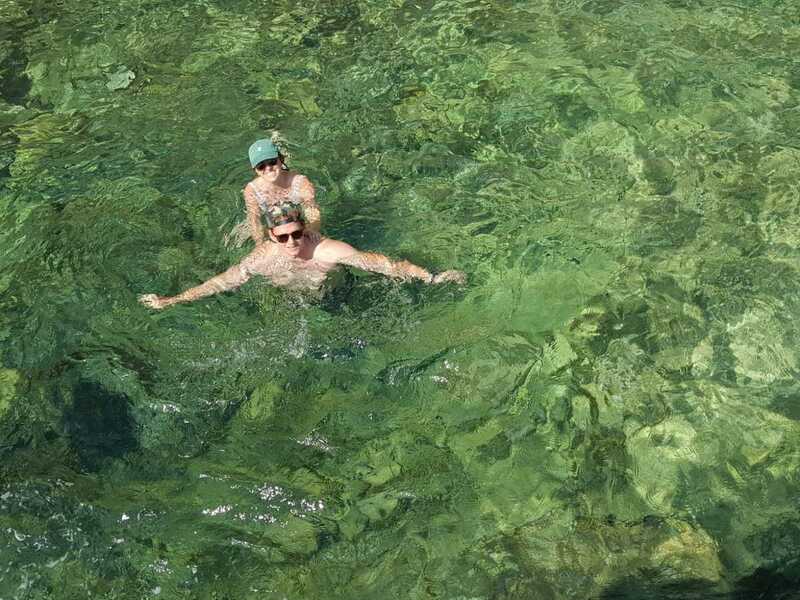 I have to admit I am not a strong kayaker, so paddling was a struggle for me at some points. However, I would choose an active vacation over a beach vacation any day. And? Why not do a combo trip. I spent one day sick as a dog from some kind of Croatian flu that glued me to the toilet for a good 12 hours. I did think about writing my mom a death note but pulled through. THANK god. lol. I can’t emphasize enough how AMAZING our tour guides were. We laughed, we learned and truly felt like they had our best interest in mind at all times. The meals we shared together on Lopud were probably my favorite. On day 6, we caught an early ferry ride back to the mainland, where we headed for Kotor, Croatia for a beautiful hike. After, a few detours, we made our way across the border to Montenegro. I have to admit, I had no idea we were going to another country during our trip with Cole’s family. I had also never heard of Montenegro before this trip. Let me tell you, it is one of those most gorgeous places I’ve ever been. We drove three hours down and up into the mountains of Montenegro. We went from the beaches of Croatia, to the mountains of Montenegro. It was the best of both worlds. We arrived at Camp Grab on the Tara River late one night so we were unable to see our surroundings. We ate a delicious Montenegrian meal and headed to bed in camp style bunks. 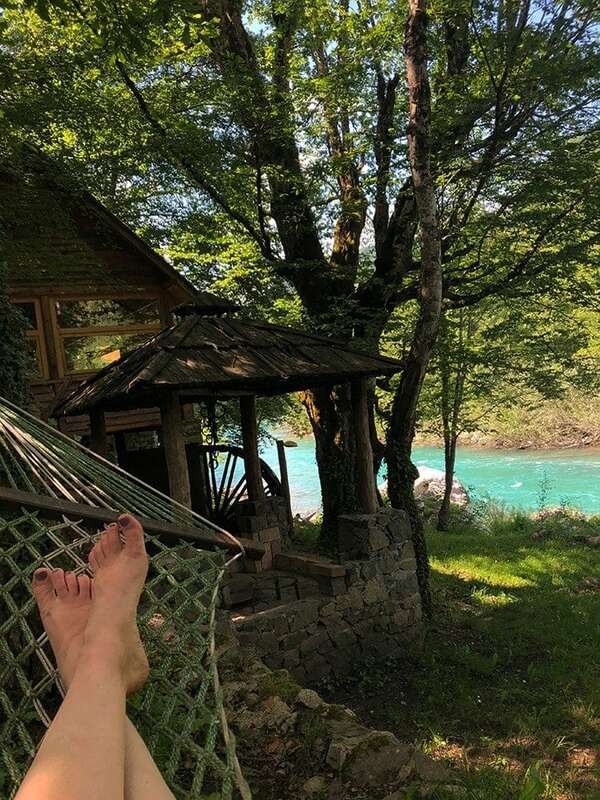 In the morning, we woke up to find the most beautiful turquoise water of the Tara River, which is a border between Montenegro and Bosnia. It was a site from a fairy tale. We were surrounded by untouched mountains and terrain. Camp Grab is an Ethno Lodge in the middle of the mountains. They offer guided tours for any outdoor adventure you could ever imagine. We spent our time at Camp Grab white water rafting, relaxing on the beach and in the lodge. There were a few brief swims. However, the Tara River has glacial runoff and it was absolutely frigid. I loved switching from the beach to the mountains. Camp Grab offered amazing meals from the region like homemade cheese, veil, and amazing pastries. It was the perfect place to end our trip with the family. After Montenegro, we drove home through Bosnia and our trip continued on to Switzerland (post coming soon). 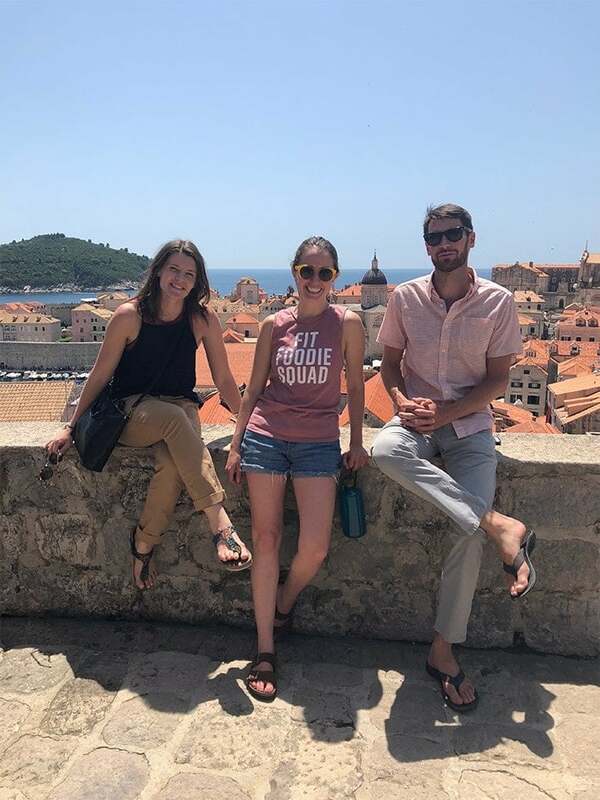 The rest of Cole’s family rented cars and drove up the coast of Croatia where they climbed, hiked, and taste-tested lots of homemade schnapps. Cole and I will definitely be traveling back to Croatia for some climbing and hiking in the future. Road Trip: Rent a car and drive. The mountain roads on the coast in this country are amazing. It is easy to navigate and you will find many gems in this country if you drive! Stay in a small Airbnb or hostel: Forget the spendy and tourist hotels. Do some research and stay at an Airbnb or hostel in a small town. They have so much character and there are plenty of them. 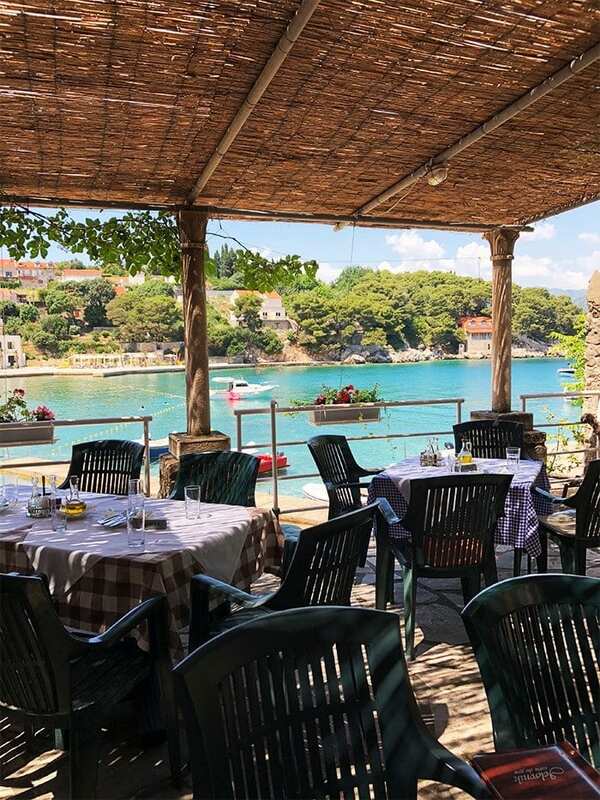 Hang out with locals: Croatian’s are some of the warmest and most accommodating people. Talk to the owner of your Airbnb or go to a small restaurant and start up a conversation. You never know what type of adventure you will find. Get outside: Croatia has so much to offer outside. There are mountains, coastline, and so much more. There are also plenty of national parks where you can hike, climb, and camp. Check out every region: Every region of Croatia has something to offer. The cuisine is different, the food is different, and the activities are different. 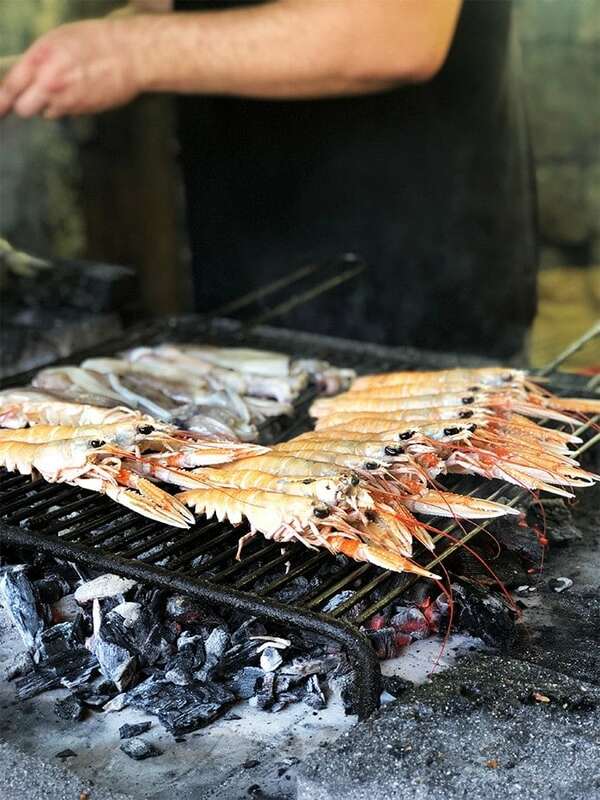 Spend time on the coast kayaking, head inland for hiking, and try as much of the food and drink as possible (they make amazing homemade schnapps and grappa)!